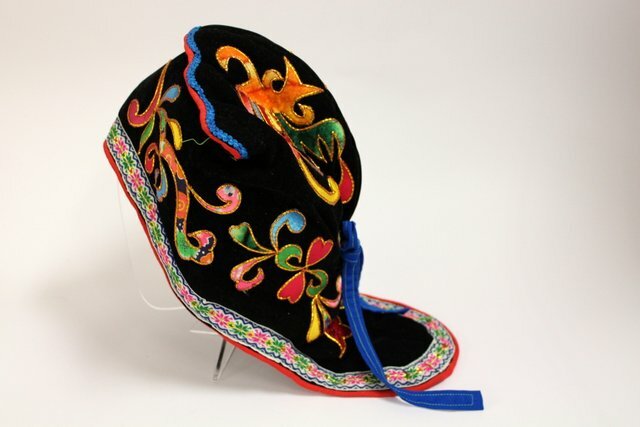 Child’s cap made of velvet and silk on a quilted lining. Decorated by flowers in silk. The back part protects the neck of the child. China, Guangxi Zhuang district, 20th cent.